Will(Matt Damon) is a janitor in MIT. He is also a mathematical genius - and, one without any formal training whatsoever. Lambeau (Stellan Skarsgård) is a mathematics professor who discovers his talent and sees him placed with the big names such as Einstein and Salk. However, there's a glitch. Due to a disturbed childhood Will has closed himself to the world and he has absolutely no interest in Lambeau's vision. 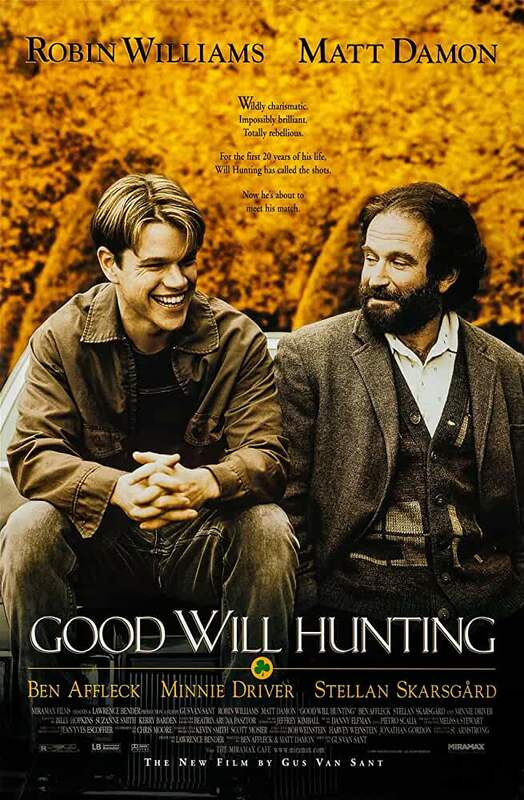 In comes Sean (Robin Williams), a psychologist, who helps Will open up as a person, believe in himself and acknowledge what he truly wants. Rating: Green - for a great story, and even better performances. A must watch for sure.